This weekly photo challenge is home. I chose three pictures that always make me really want to go to my home town, Tegal. 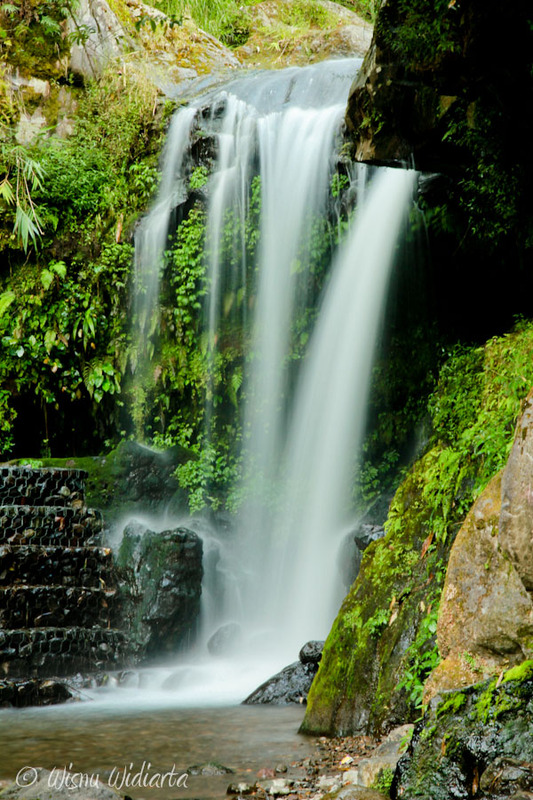 First, it’s the picture of Guci, a place for tourism, near Mount Slamet, Central Java, Indonesia. The place is really beautiful, so green, and you can find at least 7 waterfalls there. It also has a hot spring water with sulfur that can cure skin disease. The other options are horse riding, hiking, swimming, and have special culinary like lamb satay, special jasmine tea, and fried banana. When I remember this place, I always want to go home. 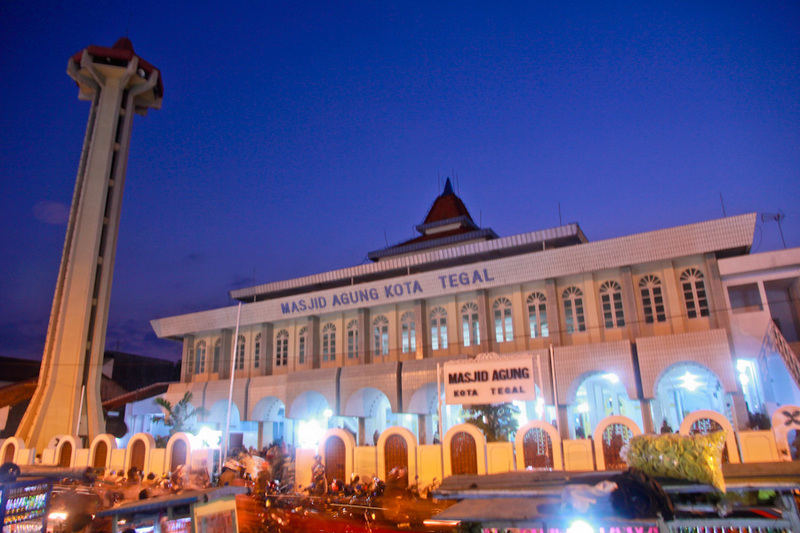 Second, it’s Masjid Agung (Mosque) in Tegal City, Java. I’ve been praying there for years. The masjid is so big, and in front of it, there is alun-alun, a circle public yard, that surrounded by traditional culinaries. Children loves to play soccer there or just spend the evening with the family enjoying food and praying there. It’s one of places that makes me miss my home town. 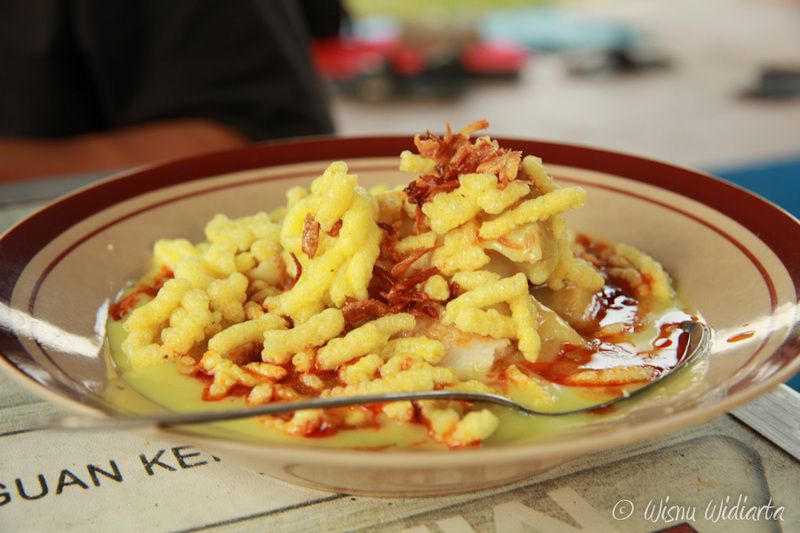 The third picture is one of traditional food from my home town, called Kupat Glabed. Kupat is rice that cooked with coconut leaves. It is served with special curry from soybean that really delicious and yellow crackers with fried onion on top of it. You can add some toppings with chicken satay or lamb satay. The taste is really-really amazing. If you manage to travel to Indonesia, let me know if you interest to try these amazing experience of my home town. Thank you Anna… dari Indo juga? I do 🙂 Thank you Christine! You will love it! Yes, we have vegetarian food there as well.